My sister and I wrapped up warm and headed out on a horrible rainy evening to our local Cafe Rouge restaurant in Chester. 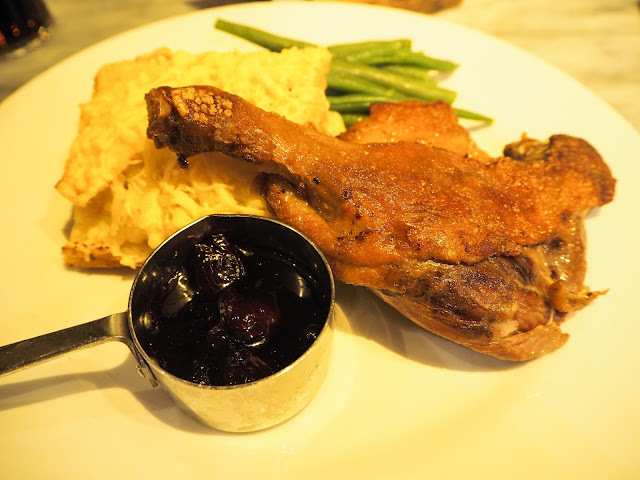 The weather had me craving warm and comforting food, luckily their new Autumn/Winter menu had plenty of options! We skipped starters, I'm more of a pudding kind of girl, and went straight to the mains. I opted for the Beef Bourguignon and my sister chose the Confit de Canard (duck leg). Our meal arrived quickly and we got stuck in! 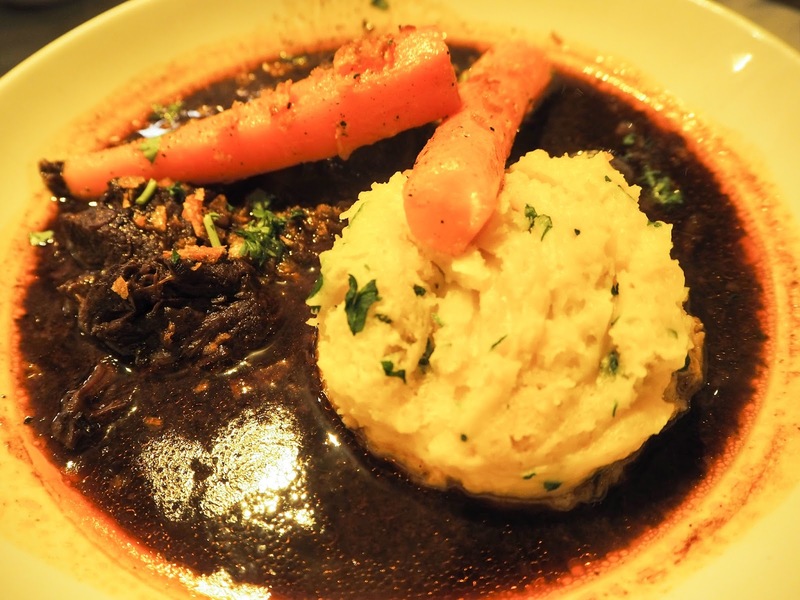 The beef in my bourguignon was so tender and melted in the mouth, plus the red wine sauce complemented the rich meat wonderfully. I, of course, had to try my sister's duck and it was safe to say it was delicious! 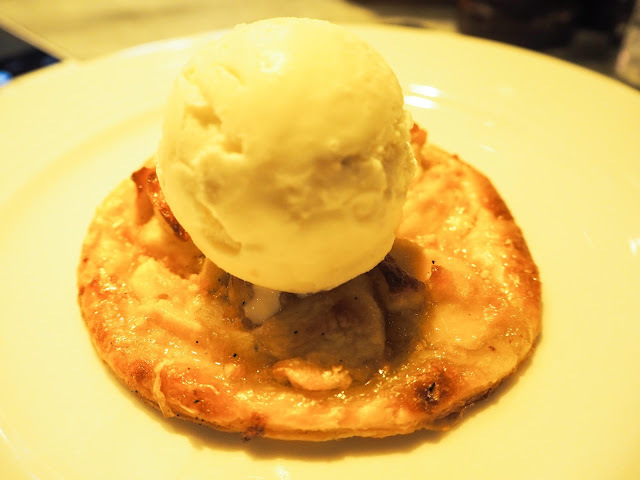 We ended with two scrumptious desserts; I tucked into the Tarte Aux Pommes, a wonderful mix of buttery but crisp pastry with warm apples and cinnamon, completed with a scoop of ice cream. 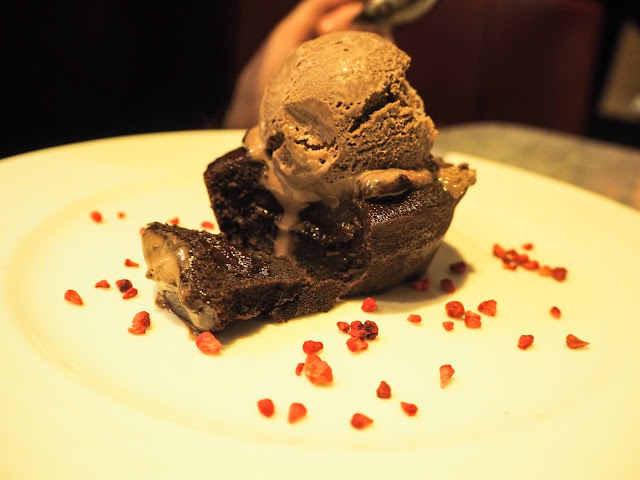 My sister had the Fondant Aux Chocolats, a chocolatey, melt in the middle pudding. However, she didn't want to share this with me and I don't blame her! I haven't had such delicious food from a restaurant chain before and the Chester team were so friendly, plus service was quick. 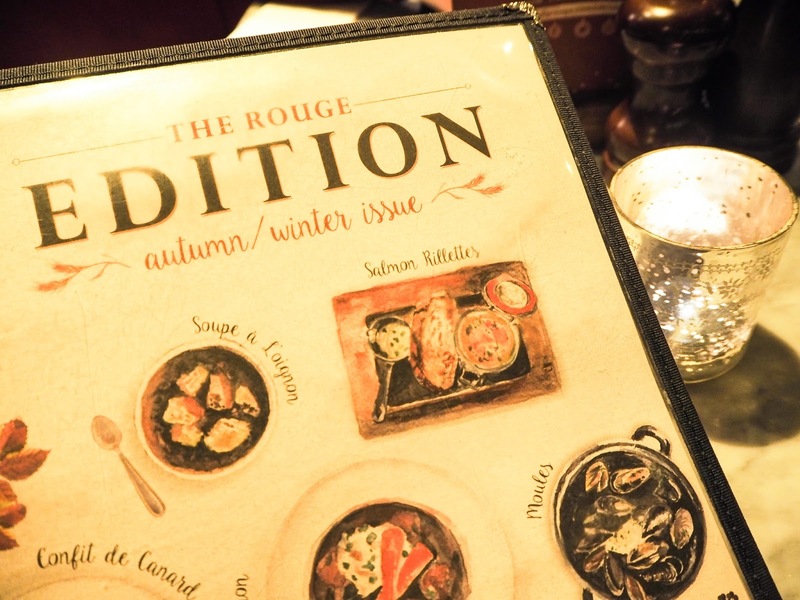 Can't recommend Cafe Rouge's A/W menu enough!